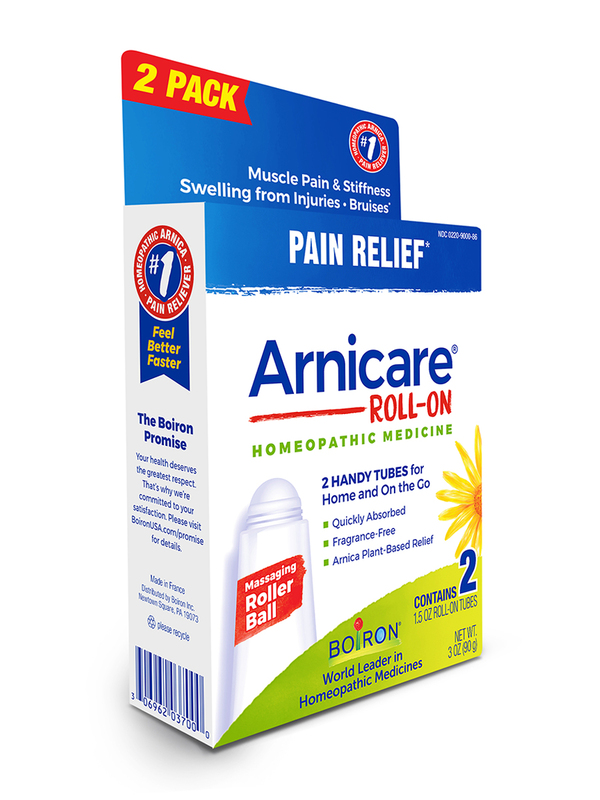 Arnicare Roll-on is made from Arnica montana (a mountain daisy)‚ which has been used for centuries to naturally relieve pain. 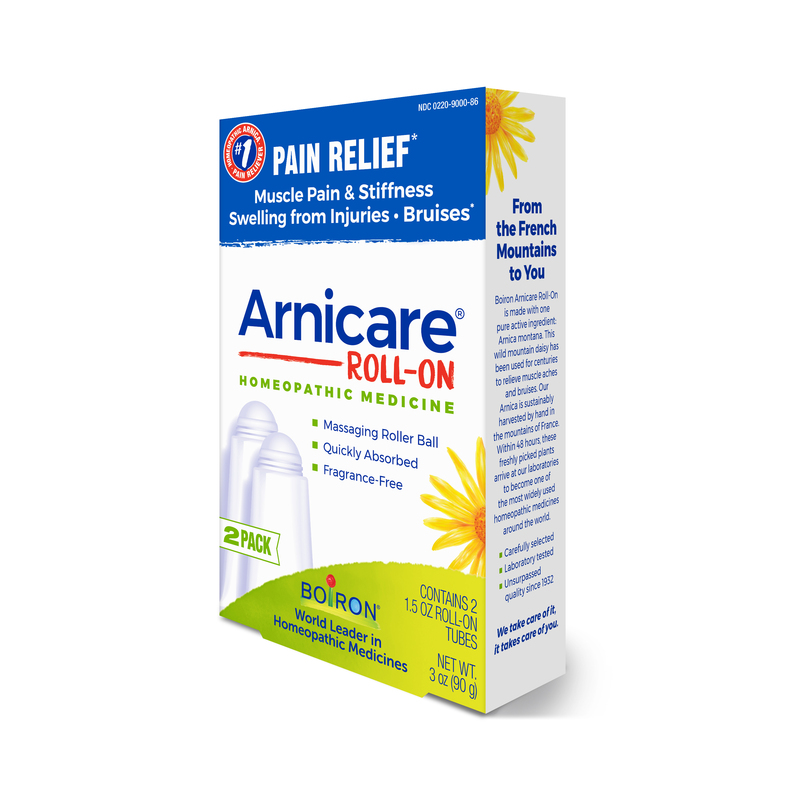 Arnicare Roll-on is recommended by doctors‚ plastic surgeons‚ and pharmacists‚ and used by professional athletes and savvy moms. 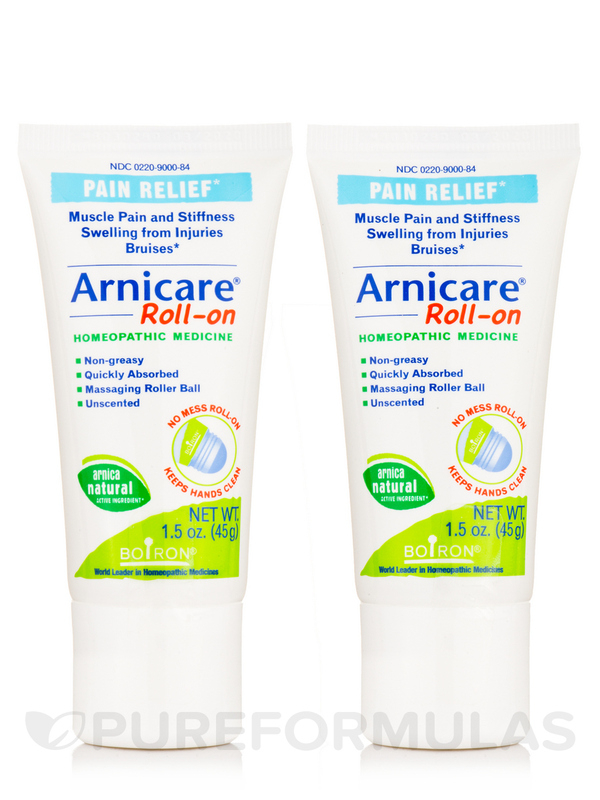 Apply a thin layer of Arnicare Roll-on to affected area and massage gently 3 times a day or as needed. 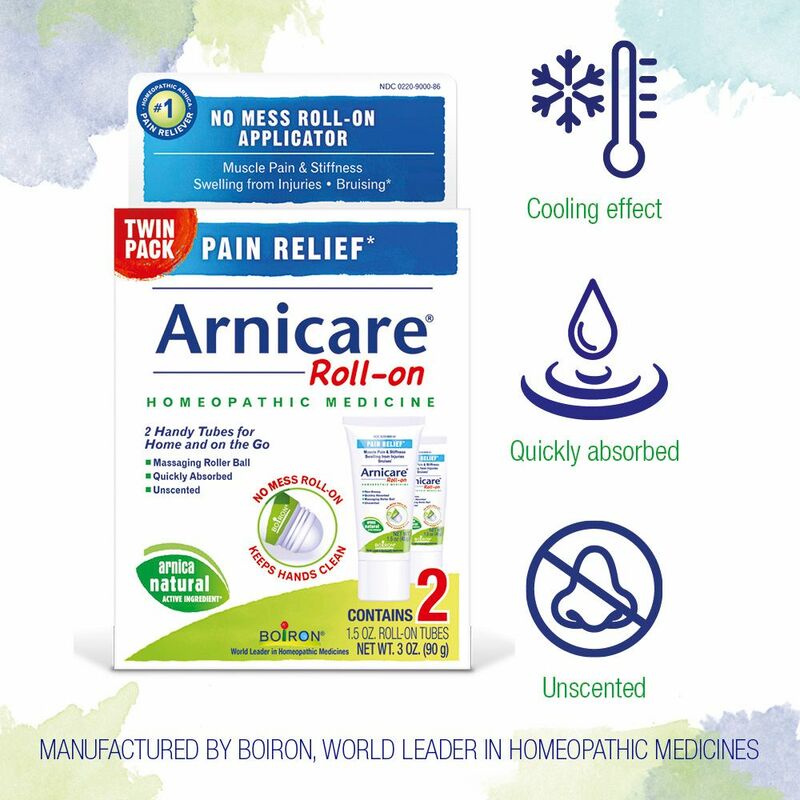 If heat or ice is applied‚ wait 5 minutes before applying Arnicare Roll-on. - Do not tightly wrap or bandage the treated area. 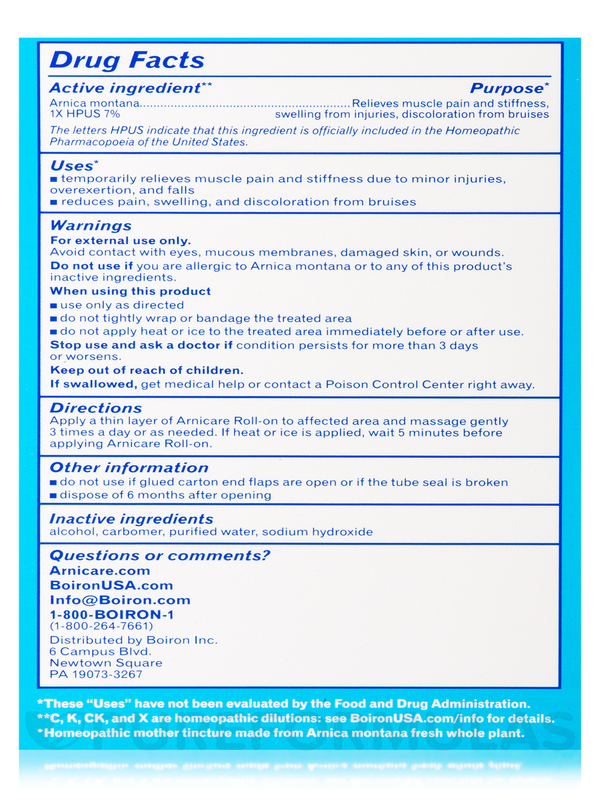 - Do not apply heat or ice to the treated area immediately before or after use. 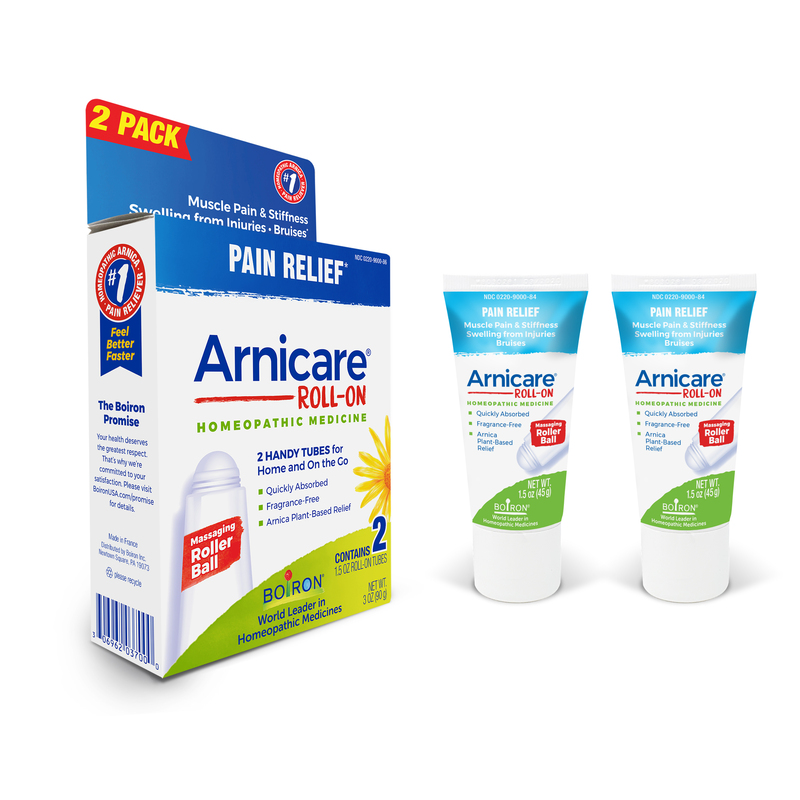 I have neuropathy in the feet and various other pains that come with growing old, and I have tried several topical analgesics without success. 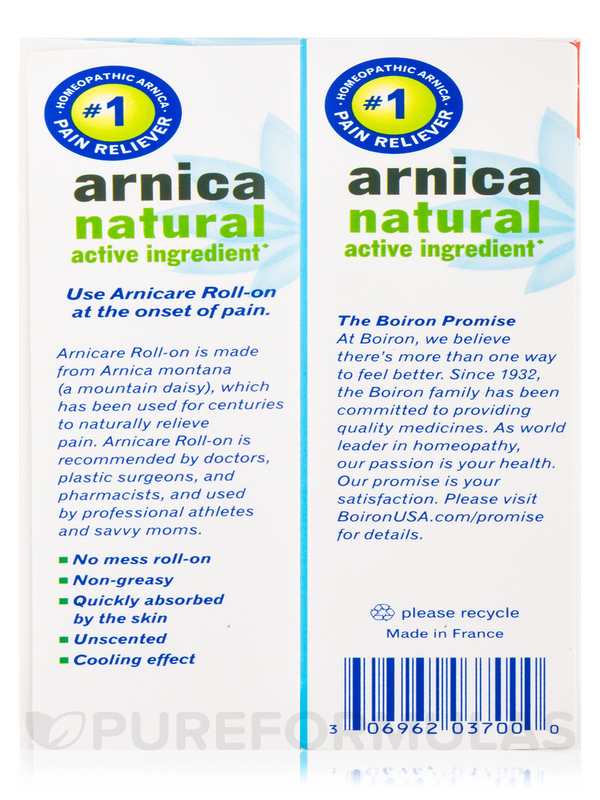 --Until I tried Arnicare Roll-on Twin Pack (Pain Relief) by Boiron. It quickly quells the pain of neuropathy, lower back pain, and cramps in the legs. 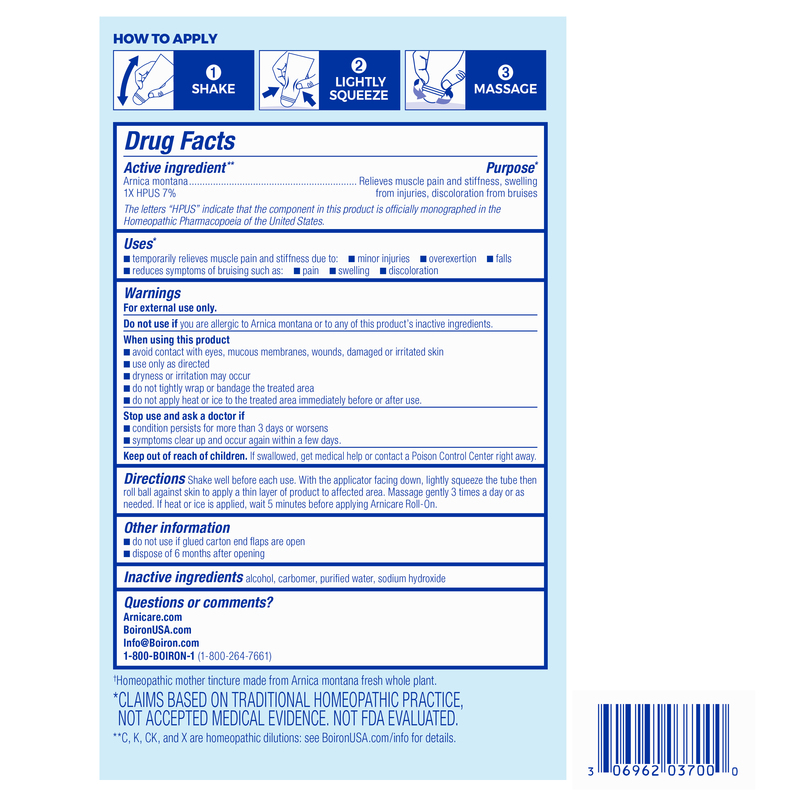 Rapid pain relief. It is not greasy, dries quickly. The roll-on version is very handy, but the gel in a tube works as well and rinses off the hands with water. It has a very slight pleasant herbal scent. 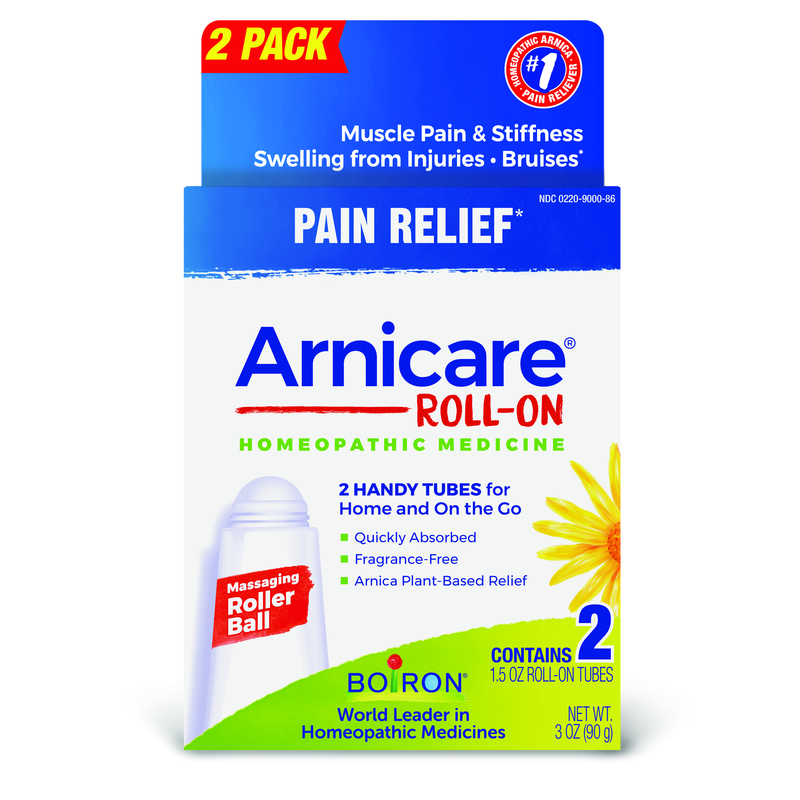 Ingredients are great but the tube design for Arnicare Roll-on by Boiron doesn’t work. You can roll it on but nothing comes out. Shake shake roll a tiny amount shake shake again do not buy this buy the tube of cream or hell instead. I wanted this to carry in purse as I’m always getting purple marks. Sad mistake and it came in a two tube box. Unsusable. Unsure I assume product is too thick for the roller ball to dispense.